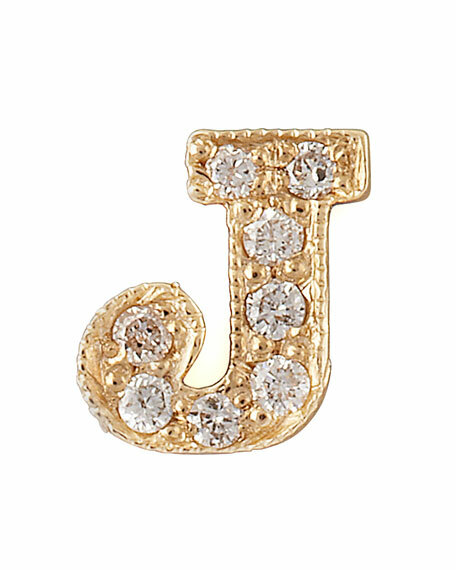 Spell out your initials, those of a loved one, or give these glittering Zoe Chicco diamond letter earrings as a gift. Please note: Single earring only; right and left earring sold separately; order two to complete your pair. 0.04 total carat weight: A, C, G, I, L.
0.05 total carat weight: D, F, H, J, K, N, P, R, T, U, V, X, Y, Z. 0.06 total carat weight: B, E, M, O, Q, S, W.
Mustique Tweejoux Beaded Long Beaded Necklace, 62"